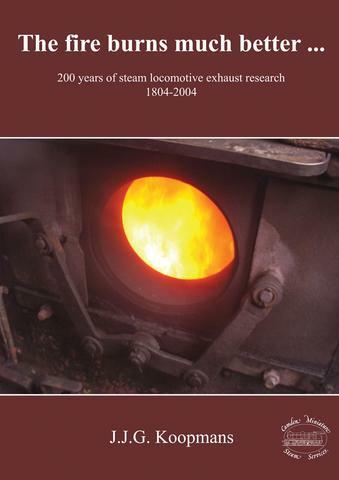 Subtitled "200 Years of steam locomotive exhaust research", this is Jos Koopmans' thesis for his PhD. at the University of Sheffield. It is almost certainly the most complete book you will find on the history of exhausts, and the technicalities & mathematics of the dynamics, gas flow and design that evolved with them, starting with Trevithick and ending with Porta. By dint of assembling all the material in one place, and putting it in chronological order, Jos has rendered a huge service to anyone interested in improving steam locomotive design, be it full size or model. If the information you are after isn't here, the huge number of references should enable you to track it down. 484 pages heaving with tables, charts, drawings and occasional photographs, plus a lot of maths and a good text.